He is resting is the excuse for lack of action on the field this year was he not resting enough with his long ban last year? 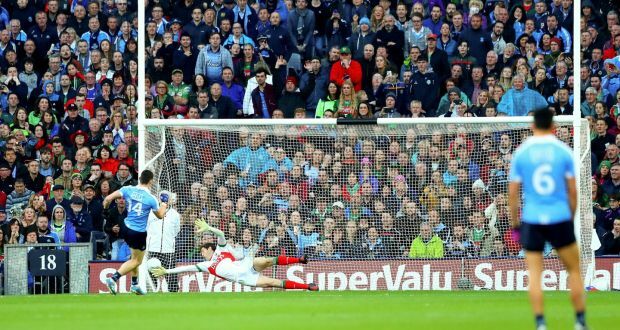 All around the Dublin set up they went bananas last year when Connolly got a 3 month ban. Now he seems to have taken a sabbatical whether temporary or permanent and Gavin claims he is just 'resting'. It's bizarre to say the least to think that in the goldfish bowl that is Dublin football, not one person appears to know for sure what the story is. I find all the media speculation about this a bit unseemly. If he's not even playing for Vincents, and he's not injured, chances are there is something going on his personal life that is of more pressing concern at the moment. He's probably very disillusioned with the game given the way he was treated so unfairly last year. Nobody is going to tell me what he did was any worse than what andy moran did a few weeks ago and yet there was no massive outcry for moran to get a 3 month ban. To be fair I don't think what either player did merited such a significant ban but the whole disciplinary process needs to be looked at so that punishments are fair and equally applied. For such minor interference with officials a one game ban would probably suffice. Personally I think he's a nasty and sneaky player. Wonderfully talented ok but that doesn't excuse his carry on. So because you think he's nasty and sneaky you think it's okay for him to be hit with a 3 month suspension while almost everyone else gets off scot free for the exact same offence. The punishments in the gaa have to be applied equally even if joe public really like one player and dislike another. There have been plenty of 3 month bans dished out for almost identical offenses. If it's the offence I'm thinking of, then that's what I was going to say! Why was andy moran treated differently then? Because the referee dealt with it on the day. Therefore, the GAA couldn't (as per rule) change the referee's decision (i.e. ref said it was a black card offence). I'm not saying I agree with that rule, but thats the reason he didn't get a ban, and Connolly did. While that seems to be true in practice, it's not 100% technically correct. I understand that the referee can review a decision after a match and say he didn't deal with it correctly (because perhaps the view he had wasn't ideal) and put that in his report, which opens the door for further (or lesser) punishment. Although it very rarely happens (certainly in the case of increasing a yellow/black card to red). Dublin's contention back then was the ref did deal with it at the time. The ball was out of play at the time of the incident so the ref was looking over in that direction. So it appeared the linesman and ref both thought nothing more should be done at the time. And the ref's report contained an addendum, which dealt with Connolly. So that looked to Dublin like the ref had nothing about it initially in his report, but then added something after the Sunday Game analysis. And as mentioned above, he's technically entitled to do that, but only he can say whether it was the pictures or analysis (or a call from someone!) that influenced his decision. But that's all water under the bridge now. As someone mentioned above, it is a bit unseemly to be guessing at motives of an amateur player's private life and how that is impacting his decision not to play (volunteer!) but understandable when it's high profile. A good comparison was when Dublin's best hurler, Danny Sutcliffe, refused to play for Ger Cunningham because they had a falling out (or so the story goes), but there was very little comment in media about that. Nobody gives a hoot about Dublin hurling! Water under the bridge? Yet you still feel the need to justify his actions. My understanding is that it was brought to the refs attention by the linesman in their dressing room after the game. Highly, highly unlikely to have happened but if it was added after the Sunday Game analysis then that was wrong. From what I hear it's events off the field that are influencing Connolly's sabbatical. Sutcliffe was going to New York that year, which is fair enough. Whether the falling out influenced his trip only he can say. Could Connolly Tog for the hurlers yet!? It would make as much of a joke adding him at this late stage of the season as it would adding a lad just back off the plane from Australia with no senior experience. You wouldn't get that in Ros! You literally wouldn't, because the player you're referring to took part in winter training, the FBD and the NFL and still didn't make the championship panel..